SIMPLEX is a leading study abroad agency that has been operating in the sphere of education since 2008. Our well-managed office is located in the city of Dnipro – the heart of central Ukraine. Our partners are the leading schools, universities and language centers from around the world. We are always up-to-date with the latest educational trends and news. Our 10 years’ experience allows us to select only the best schools and higher education institutions for our clients, as well as to offer the most interesting vacational trips, language courses, undergraduate, graduate and post-graduate programs. Since 2010, SIMPLEX is the certified ETS TOEFL iBT test center, the world's most widely accepted international English language exam. 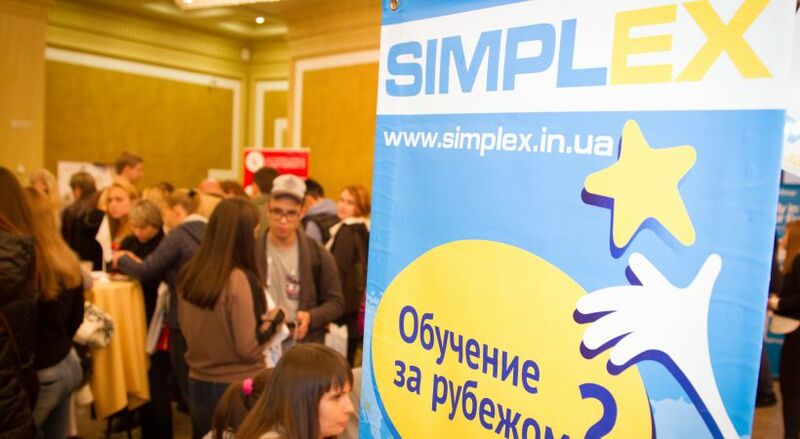 In 2011, we established our SIMPLEX Language Preparation Center. The school provides English test preparation for Ukrainian students who want to pass TOEFL, FCE and other academic tests. Since 2012, SIMPLEX has also been preparing students for the IELTS International Exam. We help to register for the exam, and we are the official partner of the British Council. Each year, the representatives of SIMPLEX take part in international conferences, such as ICEF, Alphe, Study World, etc., where more than 2000 educational institutions from all over the world are represented! Our company organize big educational exhibitions in Dnipro and the cities of the Dnipro region, as well as presentations for our partners in local schools, universities and other educational centers. Our experienced managers prepare a lot of educational catalogues and brochures with all necessary information about educational programs and partners, and distribute them among the students interested in education abroad. October 2016 exhibition gathered 45 educators, 60 SIMPLEX staff members and about 1500 visitors in one day! You can see the landing page of this event here. February exhibition has gathered 80 educators, 80 SIMPLEX staff and about 1800 visitors! You can see the landing page of this event here. Event photo album on our facebook page. Our company has partners from such world-famous education centers as Great Britain, USA, Canada, Switzerland, Austria, Check Republic, Poland and so on, and we are always ready to establish partnership with new educational institutions. We actively promote our partners throughout the year. If you want to become our partner, do not hesitate and contact us at any time! Also you can meet us at ICEF, StudyWorld and ALPHE confereces!